To see Strawberry Fields in action immediately, try out our Strawberry Fields Interactive web application. Prepare your initial states, drag and drop gates, and watch your simulation run in real time right in your web browser. Then, check out our gallery to see how Strawberry Fields is being used to explore interesting problems and cutting edge research in photonics and quantum computing. To get Strawberry Fields installed and running on your system, begin at the download and installation guide. Then, familiarize yourself with the framework of continuous-variable quantum computation, the conventions used by Strawberry Fields, and check out some important and interesting continuous-variable quantum algorithms. For getting started with writing your own Strawberry Fields code, have a look at the quantum teleportation tutorial - this beginner’s tutorial breaks down an example Strawberry Fields program for implementing state teleportation. More advanced tutorials also provided include boson sampling, gaussian boson sampling, and machine learning. 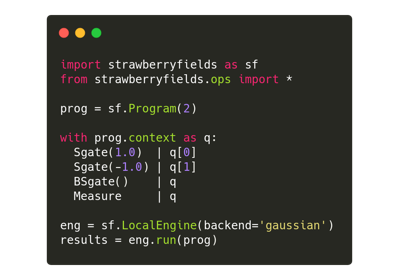 Finally, detailed documentation on the Strawberry fields API is provided, for full details on available quantum operations, arguments, and backends. Nathan Killoran, Josh Izaac, Nicolás Quesada, Ville Bergholm, Matthew Amy, and Christian Weedbrook. “Strawberry Fields: A Software Platform for Photonic Quantum Computing”, Quantum, 3, 129 (2019). If you are having issues, please let us know by posting the issue on our Github issue tracker, or by joining our Strawberry Fields Slack channel. For more details on contributing or performing research with Strawberry Fields, please see Research and contribution. Strawberry Fields is free and open source, released under the Apache License, Version 2.0. Nathan Killoran, Josh Izaac, Nicolás Quesada, Ville Bergholm, Matthew Amy, and Christian Weedbrook. 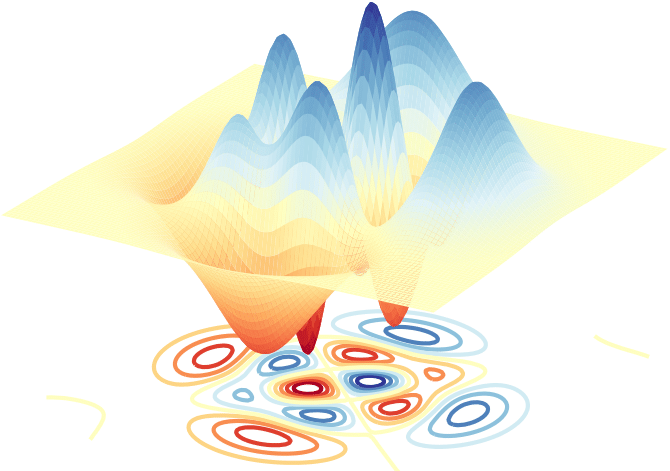 "Strawberry Fields: A Software Platform for Photonic Quantum Computing", Quantum, 3, 129 (2019). © Copyright 2019, Xanadu Quantum Technologies Inc. Documentation created using Sphinx.